Owls Barnie and Walley Visit the Grade 2 Classroom! What better way is there to top off learning the life cycle of an owl than having REAL owls come to visit? 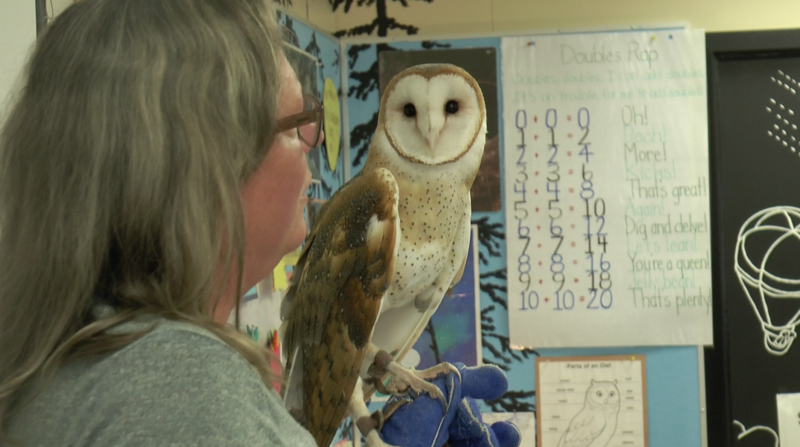 Gail DeCoffe brought in Barn Owl Barnie, and Wally the Bard Owl, into the Grade 2 classroom. 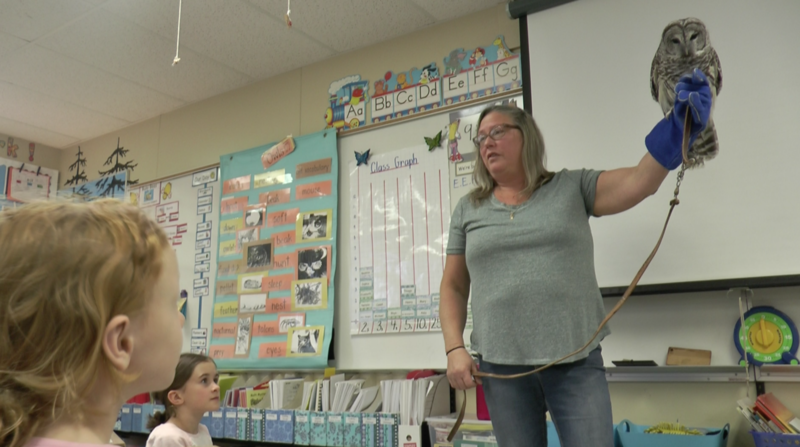 The classroom was so excited and were quick to share their knowledge with OWL specialist Gail. It was a magical day of learning.